At the Swedish Padel Open we enjoyed a week in which Sweden showed its love affaire with the World Padel Tour. For seven days, the coastal city of Bastad became the epicentre of this sport. An event which packed the stands and also transformed the city into the focal point of Swedish society. This was down to the presence of the Swedish royal family. Prince Carl Philip, fourth in the line of succession, staged one of the most emotional moments of the tournament. 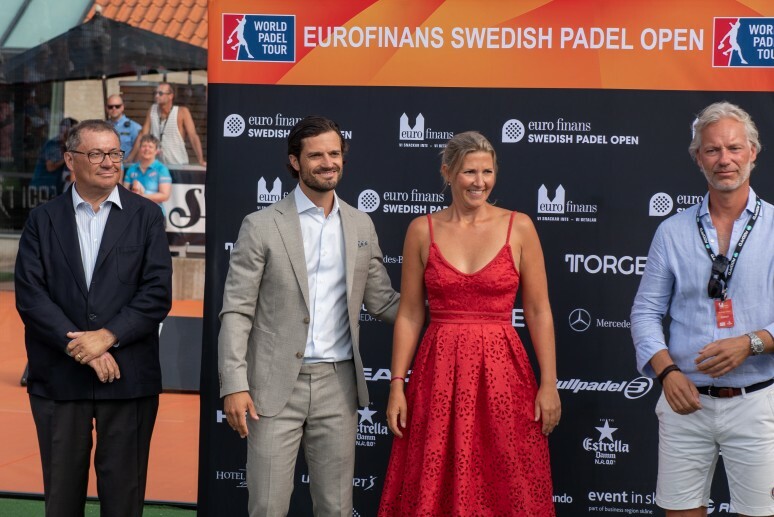 The trophy of this first ever Swedish Open is named after Marten Björssok, one of the first padel fans in Sweden and close friend of the prince, who sadly passed away in a car crash in February. Alongside Marten's widowed wife, Kristina Gustafson, Carl Philip of Sweden ended a fascinating week in emotional manner. The growth of the World Padel Tour in Sweden has been a total success.